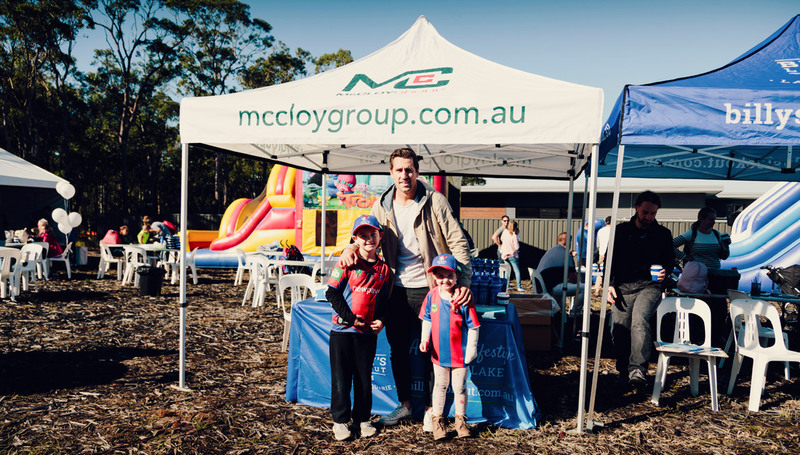 As a home-grown Hunter based business we could not be more excited to have local football legend Mitchell Pearce as a Brand Ambassador for our residential communities. Mitchell Pearce is a fresh face in Newcastle but has shown how eager he is to dive into Novocastrian culture, community and traditions. He is an Australian professional rugby league footballer and co-captain for the Newcastle team. The halfback has an array of achievements to his name including NSW State of Origin halfback, NRL Premiership and NRL All Stars representative. Already settling into Newcastle, he has shown his support for local feeder clubs such as Lakes United, whom we are proud to be major sponsors of. His determination, passion and personable approach on and off field made Mitchell Pearce the perfect personification of the values McCloy Group. Come and meet Mitchell at one of our many community days!